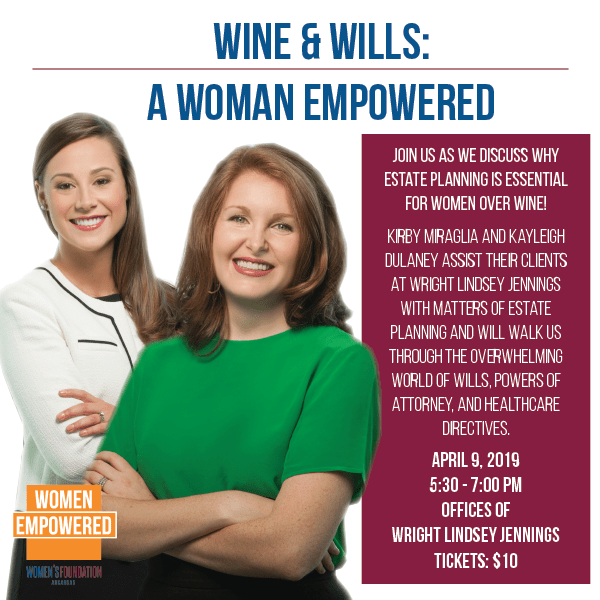 Join us for our latest installment of our lecture series, Wine & Wills: A Woman Empowered! Tickets are $10. Reservations are required and are available online.